Dan Simmons grew up in the Midwest and based his first novel, World Fantasy Award winning Song of Kali (1985), on a year he spent in India traveling on a group Fulbright Fellowship for educators. Later horror novels include Carrion Comfort (1989) and Summer of Night (1991) and its sequels. 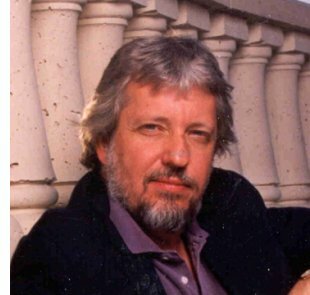 Simmons has also written SF, in the four-volume sequence of novels beginning with Hugo-winner Hyperion (1989), followed by The Fall of Hyperion, Endymion, and The Rise of Endymion; and more recently has turned to action-suspense novels, including The Crook Factory (1999) and this year's Hard Freeze. He returns to SF with a far-future, two-volume epic dealing with Homeric themes, Ilium, due 2003, and Olympos. He lives in Colorado with his wife and daughter. �Even so, I don�t recommend writing across genres to beginning writers of any age. First of all, the essence of most successful writing careers that don�t begin with a giant literary success  say with someone like Tony Hillerman or Jack Vance or Donald Westlake  is to do approximately the same thing very well year in and year out until the wider readership suddenly �discovers� you. Secondly, too many mainstream authors think they can slip in and out of other genres without knowing the neighborhood they�ve decided to go slumming in  just witness the atrocious �SF� books by self-styled literary authors who don�t have any idea that what they�ve written about has been done better by a score of SF writers in years and decades past. A writer has to know the best of each genre  the best writers, the best styles, both the classics and little-known titles  before he or she should venture into the form. And even then they should go humbly. �Why write across genre lines then? For me, it�s not only the matter of rotating crops so as not to deplete the soil, but the appeal of trying to master the different styles, learn the necessary tropes and protocols, and to honor the best writing in these various genres. It�s pure celebration, in the same way my first SF novel, Hyperion, was a celebration of the various forms of SF, from Jack Vance to cyberpunk. �Finally, there�s the simple fact that I would be bored silly if I read in only one genre or one type of author  so why write in only one form? �Ilium is, like the Hyperion novels, an expansive and  I hope  generous celebration not only of SF but of SF�s kindredship to the great epics of our literary history. �I had thought for years it was time to pillage Homer the way I had with Keats for the two Hyperion books, and that I had done enough reading over the years to use the themes and some of the imagery and ideas in The Iliad in a fun way with SF. It is a very, very complex tale. I have more respect for The Iliad now than I�ve ever had, and I�ve always thought it was possibly the finest piece of literature there was. The Iliad is just a small part of Ilium  one of four braids that run through the thing  but it�s integral to the whole. �I don�t think it will grow into four books like Hyperion, but who knows? I�m contracted for two. But at least if it grows into four books, I know what the model for the other two books would be. People have said Ilium and Olympos are based on The Iliad and The Odyssey. But they�re not. Ilium and Olympos are both based on The Iliad themes. So if I do two more, I know where I�m going for inspiration."